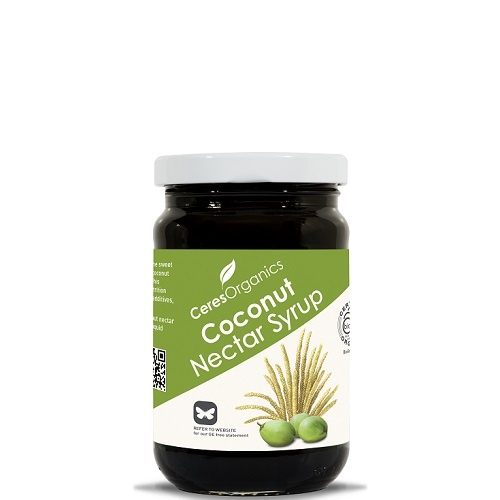 Ceres Organics Coconut Nectar Syrup is the sweet sap from the flower of organically grown coconut palm trees. With virtually no processing, this liquid sweetener preserves the incredible nutrition profile inherent in the coconut flower. No additives, bleaching agents, or chemicals are used. With its delicious, malt-like flavour, coconut nectar makes a wholesome alternative to other liquid sweeteners.